The flow of a store's layout determines how customers shop. The longer a customer is in a store, the more likely she is to buy--therefore, the goal is to keep her shopping longer. Escalator placement (arrangement of the down and up escalators), arrangement of fixtures and even the placement of departments affect the store’s traffic. For example, some food retailers put necessities such as eggs and milk in the back of the store so the customer has to navigate through other merchandise to get to them. Department stores also use this strategy, putting the kids department on the top floor so that parents have to walk through other sections--thus increasing the likelihood that they will purchase more. A retail space makes more money when it maximizes sales per square foot--and this can be predicted with the use of its layout. So if a specific area is lacking in sales, the retailer can rearrange merchandise to meet sales goals. The purpose is to put as much merchandise on the floor with a mix of high- to low-priced goods and fast- to slow-selling goods. For example, a high-priced flat-screen TV will be merchandised with low-priced accessories. Additionally, high-priced items might be allowed more retail space, whereas low-priced items might be stacked on a fixture to place more products on the floor. The layout can organize product categories together so that customers find different items they are looking for in one location. Equally as important is the layout's ability to keep complementary products or similar brands in proximity so that a customer will be more inclined to buy products connected to the one they are shopping for. Grouping together designers that cater to a similar customer, or merchandising winter hats, gloves and scarves in the same area, is a way to bring additional cross-category or cross-brand sales. Preventing shoplifting and theft is another purpose of store layout. High-priced items are sometimes kept in locked showcases in the rear of the store. Small items that can be easily shoplifted can be kept in a display or in designated section where there is more security support. Sometimes the store layout places the exit in area that either passes security or requires an extra maneuver, making it more difficult to flee the store with stolen merchandise. Most retailers want customers to feel at ease and comfortable when shopping so that they transfer the same sentiments to the items they are purchasing. The store layout design can determine what emotions are evoked in the shopping experience. Factors such as merchandise arrangements, fixture colors and aisle space affect whether a customer likes, and therefore frequents, a store. Tall fixtures that restrict visibility might cause anxiety in shoppers, as they are forced to navigate every aisle. 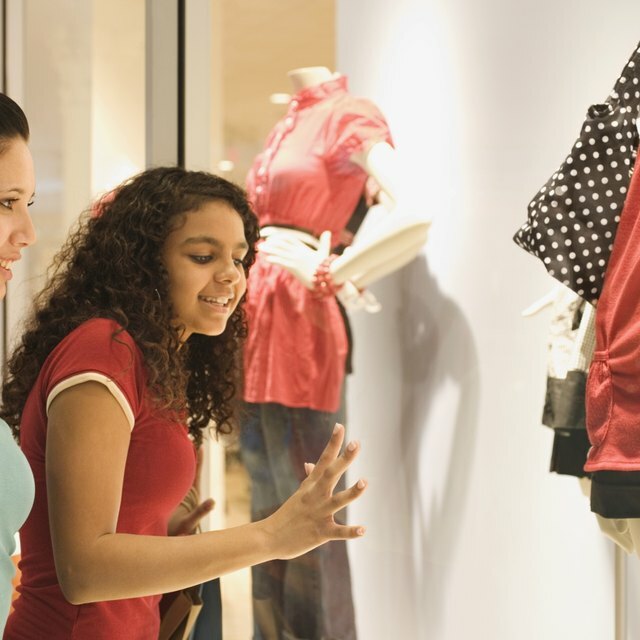 In clothing stores, a congested or ill-designed layout where fixtures are too close together can create tension, rushing shoppers through their purchase. Open layouts where merchandise is visible can eliminate tension, making customers want to shop longer.